So I just found this on the Cisco Learning Network. I got a little confused when I saw CCNA twice and the one on the top of the list said "Data Center" I thought they got rid of R/S for a few seconds. This certification has no prerequisites!!!! "For data center network administrators who want to save time and money on data center design, equipment installation, and maintenance, the Cisco CCNA Data Center certification is a job-role-focused training and certification program that allows you to maximize your investment in your education and increase the value of your data center network. Because of our experience with our existing certification and education programs and leadership in providing data center solutions, Cisco can provide a comprehensive program to address the key areas of data center network design, implementation, and maintenance." The 640-911 (DCICN) Introducing Cisco Data Center Networking exam tests and validates a candidate's knowledge of networking concepts for the data center environment, based on Cisco NX-OS, including fundamental information on data center network function, virtualization configuration in the network, addressing schemes, and configuration skills. Candidates can prepare for this exam by taking the Introducing Cisco Data Center Networking (DCICN) course. Candidates can prepare for this exam by taking the Introducing Cisco Data Center Networking course. The 640-916 (DCICT) Introducing Cisco Data Center Technologies exam validates a candidate's knowledge of fundamental data center technologies such as network and server virtualization, storage, convergent I/O, and network services such as load balancing. Candidates can prepare for this exam by taking the Introducing Cisco Data Center Technologies (DCICT) course. The following topics are general guidelines for the content likely to be included on the Introducing Cisco Data Center Technologies exam. However, other related topics may also appear on any specific delivery of the exam. In order to better reflect the contents of the exam and for clarity purposes, the guidelines below may change at any time without notice. NA/NP Data Center Paths are there. Figured that was a matter time. Yippeee i have been waiting for Cisco to provide a Data Centre Cert. After i finish my CCNA this is my next cert for sure. I'm glad they did this; not really fair to have a CCIE track that doesn't have an entry level starting point. I've got a bunch of 5k coming in so I might look into this next year, after I'm through the INE material. Not sure why but just to have it. Good stuff here. Agreed that there is some materials already out there that could be used. The only trouble with this track is the access to equipment. You could learn it all in theory but NX-OS has a few differences from IOS. Nexus 1000v is easy, its free now so access to it shouldn't be a problem. The UCS platform emulator might be enough to get through most of the UCS stuff. The only things you won't be able to do are the vPC/VDC stuff that requires NX-OS to do. Then there's the SAN stuff.....tough track but only tough from an equipment standpoint. Just read about the new certs today and I'm really excited. We recently got the Nexus 7000 switches so I can't wait to play with these new toys! Actually I did test them out, problem is the lack of lab materials. I just hope the exam questions aren't leaked, sick and tired of these braindumpsters! any idea when the books will be available? I wouldn't count on books being available for it any time soon. Data centre switching on the Nexus switches is more or less identical to normal IOS. You need to be aware of stuff like OTV, VDC's and vPCs but they are not difficult concepts to grasp or configure. I think if there is any SAN switching included that will be the most difficult topic to get your head around along with UCS. In regard to study materials, I would recommend the PEC (if you work for a Cisco partner) and use the labs. I know there is a bunch of DC labs as I've done them when preparing for specialist exams (vPC, OTV etc). There is also labs on UCS and UCS Manager etc available. Another resource is the Cisco SBA section of the design zone. This has configs and design / deployment guides that are easy to read / follow and they're not hundreds of pages long so quite easy to understand. Covers more or less all of Cisco's products to make it easy for engineers to deploy technology they maybe haven't used before. Going through the Cisco Forums, Todd Lammle is aiming for March 2013 to have his books ready. Interesting. I don't really see the point. You would think it would be a good idea for the candidate of those exams to have a solid foundation in R&S. I wouldn't do it without it. isnt that how the CCNP's work? you can just get a CCNP speciality, you don't have to have a stand alone CCNP right? Hey Guys, that mean CCNA disappear? Im study to CCNA now! Core routing/switching will never disappear it's what carriers everything. While this is exciting, we must not forget that quality self-study aides can be very difficult to come by. CCNA would never disappear. Route/Switch is networking, and everything else rides ontop of Route and Switching. If there's a book that'll come out for it, It's definitely something to have and read. They updated the NX-OS book to second edition. Rough Cuts are available from Safari. Hi guys, is the routing in 640-911 (DCICN) based on NX-OS or even with IOS knowledge someone is good to go? I haven't looked at exam scheduling yet, but hopefully I can sit the first one (DCICN) in Jan/Feb. I have pretty good experience on the 7000/2000 series and we also have UCS with FC, so I think I can fill in the gaps. 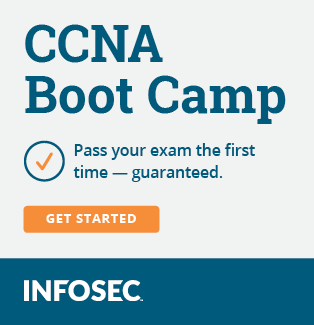 The first Exam also covers base topics like the OSI model, basic network devices and so on, as their are no pre reqs for the CCNA in this track.